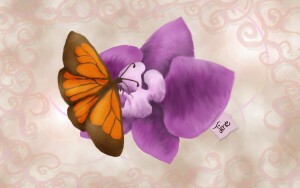 Flower and butterfly drawn in Photoshop. 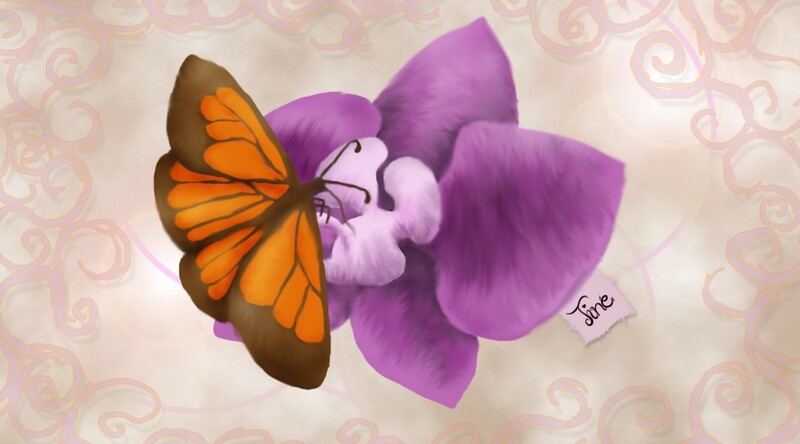 One of the early pen tablet drawings. This one was a gift for Tine. Materials: Photoshop and pen tablet.